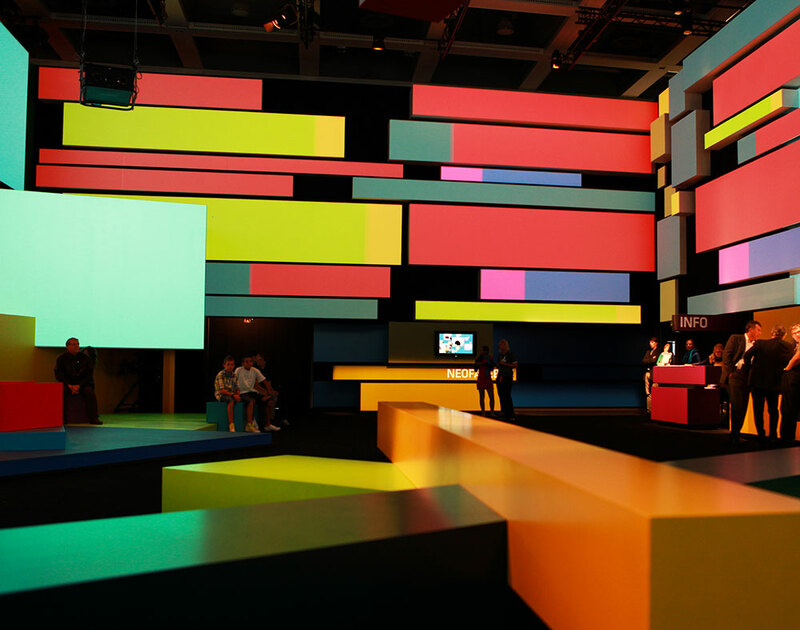 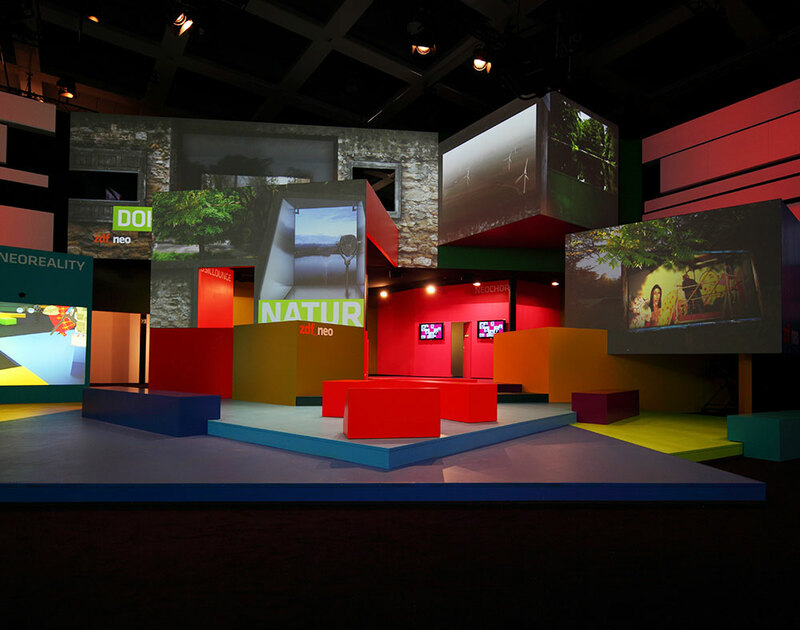 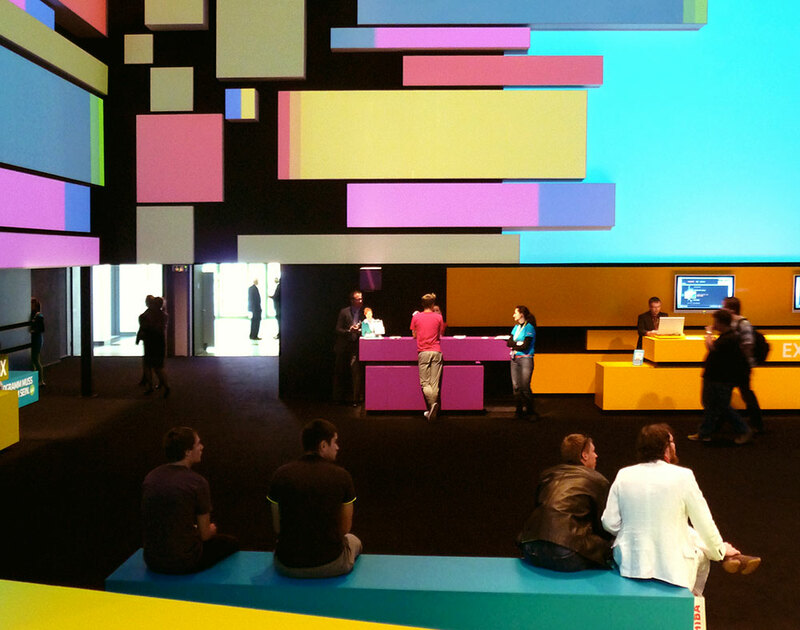 Using the colors of the ZDF neo corporate identity we project precisely fitting images onto the architecture of the IFA trade-show booth. 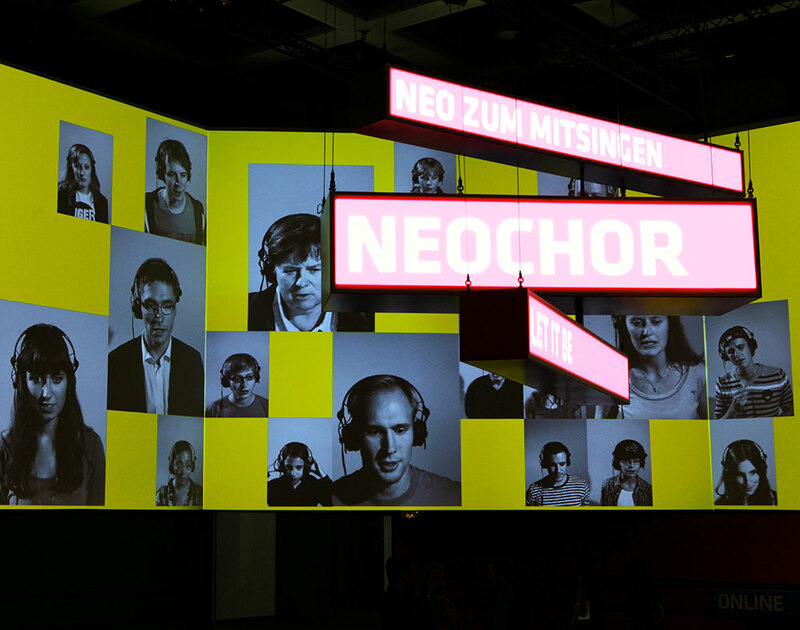 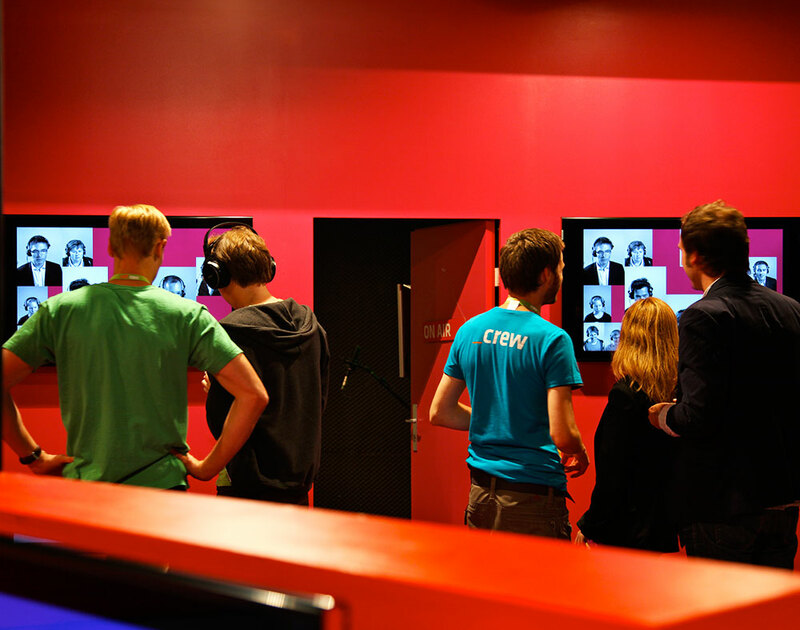 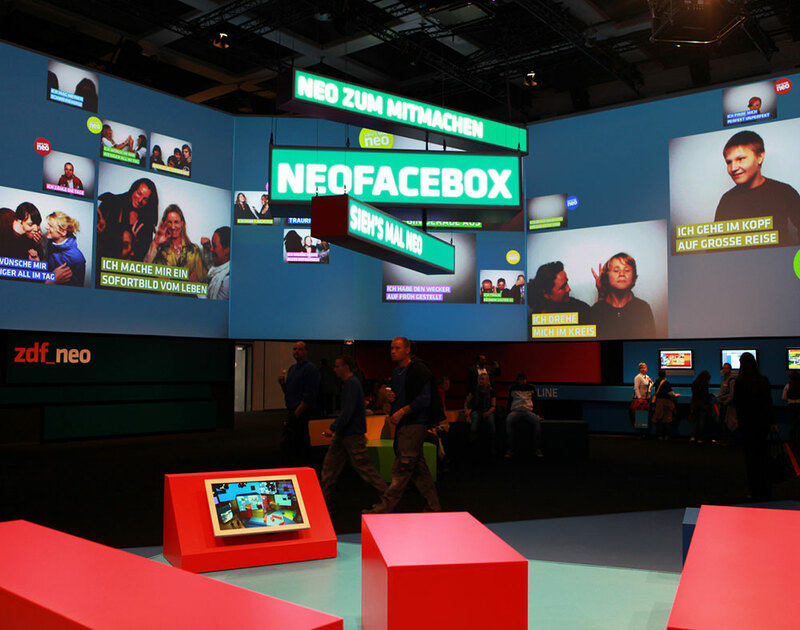 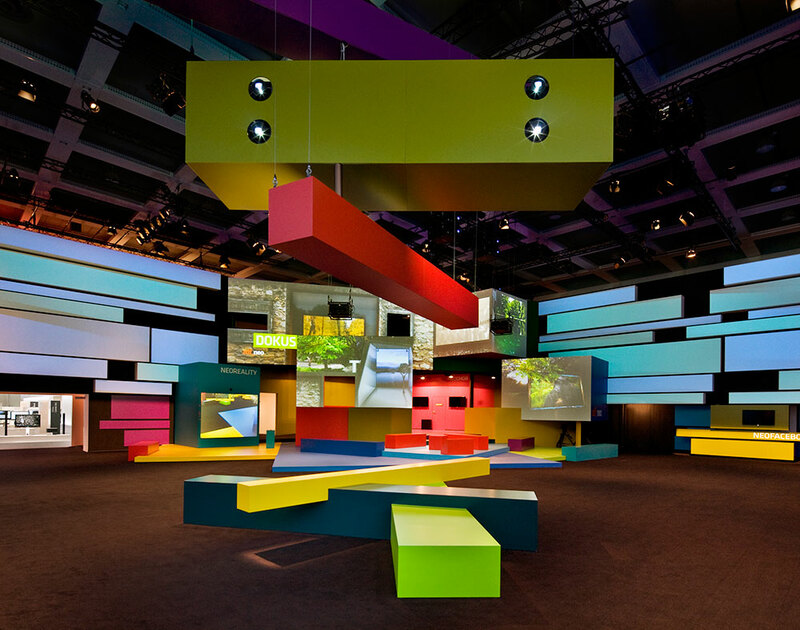 We offer three interactive installations to the visitors: Neo Facebox, Neo Chor und Neo Reality. 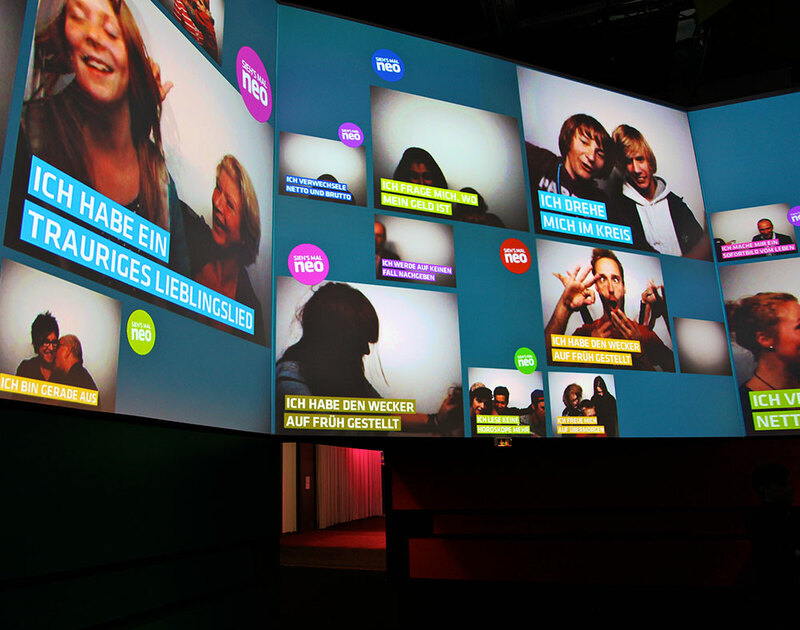 The content is digitally mixed and arranged at the scene and presented instantaneously on the panoramic screens.